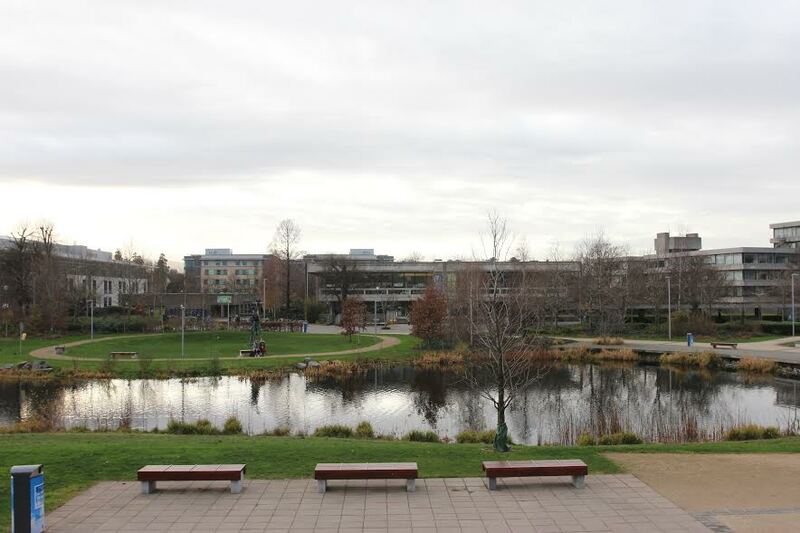 UCD Main Restaurant (centre) was boycotted by anti-direct provision campaigners in 2018. Image: Dylan O'Neill for The University Observer. Share the post "“As soon as you get into Direct Provision, you become a number” – Life as a student in Direct Provision"
A UCD student has come forward to describe his experience of living under direct provision as “nothing better than what was happening with the Magdalene laundries.” Liam Harrison*, a first year sociology and social policy student, has spoken to The University Observer about his experience over the past two and a half years, attending UCD whilst living in a direct provision centre. Information received under the Freedom of Information Act 2014 shows the total number of people living in direct provision centres in Ireland is 5,938, as of 2nd December 2018. The University Observer has learned that there are 26 registered students currently living under direct provision, according to UCDSU.